It is interesting that the Semi Gotha of the nobility of Europe records that the Czars of Russia recognised the nobility of the Jewish Princes Lusignan. How did these descendants of the Catholic Kings of Jerusalem, Armenia and Cyprus become recognised as Jewish Princes? Most of us know the name of Guy Lusignan as an evil King of Jerusalem in the movie called "Kingdom of Heaven". For me the name Lusignan was to be found in my family tree. My great-great-grandfather's grandmother was Maria Lusignan of Russia (daughter of Henri Phillippe de Lusignan). I was puzzled how this French family had come to be in Russia and I was surprised when I started to research this family that they were recognised as Princes of Jewish origin by the Russian court. In my research I was to trace them back to the Lusignan-Ammiel family of southern France. The family claims descent from Phillippe Lusignan the eldest illegitimate child of Prince Henri Lusignan the Titular Prince of Galilee by his Jewish mistress Alice ha Geveret a descendant of the Royal House of King David. Henri proclaimed his illegitimate Jewish son Phillippe as Titular Prince of Galilee and Count of Bethlehem and the Lusignan family continued to claim these titular titles until the modern era. There are of course other descendants who have also claimed these titles throughout the centuries. Prince Henri Lusignan of Galilee was the son of King James I Lusignan of Cyprus (b.1334-d.1398) and his wife Helvis (Heloise/Helvide) of Brunswick. His grandmother was Helvide de Dampierre who was descended from the Jewish Kings of Khazaria. Queen Helvis of Cyprus was the daughter of Duke Phillip Welf of Brunswick and his wife Helvide de Dampierre. Helvide de Dampierre was the daughter of Eudes de Dampierre the Constable of Jerusalem and his wife Isabella de Lusignan. Isabella Lusignan was the daughter of Guy de Lusignan-Antioch a son of King Hugh III Lusginan of Cyprus. Thus Henri de Lusignan Prince of Galilee was descended from the Jewish Kings of Septimania(Narbonne)on his direct male line from Machir Theodoric (Aimeri) of Narbonne's son Theodoric II Nehemiah (Amaury le Chetif) and a descendant of the Kings of Khazaria on his maternal grandmother's direct male line through the de Dampierre family. Prince Henri's mother Queen Helvis was descended on her direct male line from Machir of Narbonne's son Guillame de Gellone I (Nathan Kalonymus). Prince Henri was also descended many times over from the d'Ibelin family of the Kingdom of Jerusalem. His mother's paternal grandmother was Helvis d'Ibelin (daughter of Phillippe d'Ibelin). The d'Ibelin family were descendants of Jewish Helpuin (or ha-Alufin) families of France that descended from Machir's son Menachem (Harald Hildetonn /Hernaut de Gironde/ Hildouin) through his son Helgi Halfdan (Heligaud) of Scandinavia. One of the sons of Helgi Halfdan (ha Aluf Dan)was Hildouin (Herlouin) of Ponthieu from whom the d'Ibelin family traditionally claim descent. Henri de Lusignan's son Phillipe de Lusignan married his cousin King James II Lusignan of Cyprus' Jewish mistress Ava (Eve/Eshives)de Nores whose father was the crypto-Jewish Senschal or Marshall of Cyprus. Her mother was the Jewess Miriam of Jerusalem who was known as Mary Montolive. Phillippe's son Henri or Herion was the Lord of Chiti in Cyprus. Henri married into the Davidic family of the Charlap/Chappes. The family continued in Cyprus for another 3 or 4 generations until the time of the last Queen of Cyprus Catherine who handed Cyprus over to Venice on her death. Herion's great grandson Pierre Antoine de Lusignan (1521- after 1571) moved to France where he was known as Count Lusignan. His great-grandson also named Pierre Antoine de Lusignan was born in France around 1600. Count Pierre Antoine's father Jaques Phillippe de Lusignan claimed to be the titular King of Jerusalem, Cyprus and Armenia through his mother Jacquetta de Lusignan the sister of Pierre de Lusignan. Prince Pierre de Lusignan of Cyprus was the grandson of Prince Jacques de Lusignan whose father Guy de Lusignan was a legitimised son of King Janus I of Cyprus and half-brother to King John II of Cyprus. Pierre Antoine de Lusignan of France's son Jaques Phillippe also born in France married the Jewess Miriam Amiel (or Amigo) whose father was the Sephardi Rabbi Joseph Amigo Khaver ha Aluf and her mother was Rachel Hen-Gracian. Their eldest son was known as the Marquis Louis de Lusignan of France and his brother was Count (or Marquis) Antoine de Lusignan- Ha Aluf -Hen (born 1644). Another son was known as Count Jean de Lusignan- Amiel (born 1646)had a son Jean de Amiel Lusignan who went to settle in Canada. Count Antoine's sons were Bernard (b.1665) and Henri (b.1670). Bernard's son by his French wife Francoise Barriere was Phillippe de Lusignan who married a Russian Princess. Their grandson was Prince Henri Phillippe de Lusignan Ha Aluf Hen who moved to the Russian Empire at the time of the French revolution with his family. Henri Phillippe's older brother was the Marquis Louis de Lusignan the titular King of Jerusalem, Cyprus and Armenia. Prince Jacques de Lusignan as titular King of Cyprus, Jerusalem and Armenia and also Prince of Galilee and Count (or Prince) of Bethlehem decreed that his eldest son Louis as titular King of Cyprus, Jerusalem and Armenia and that his second son Henri-Phillippe was to receive the titular titles of Prince of Galilee and Count of Bethlehem. Henri Phillippe de Lusignan Prince of Galilee decreed, after his son Louis Joseph became heir to his uncle as titular King, his titles were to pass to his granddaughter Maria and her descendants. From the family of Henri Phillippe de Lusignan Prince of Galilee and Count of Bethlehem came Prince Louis Christian de Lusignan and his son Prince Michael David de Lusignan whose titles were recognised by Czar Nicholas I and his successors. Another branch of the family known as the Chalfa Yen went to live in the Middle East and later moved to Paris and London. Many people of the time accepted their claims while other considered their titles to be bogus. The wikipedia article on the Kings of Jeruslem also mention this family: "...According to E.P. Karnovich (1886), there was a colonel named Prince de Lusignan in the Russian service, allowed to be called the titular King of Cyprus and Jerusalem by Tsar Nicholas I. He claimed to be descended from Christobul de Lusignan, who had served in the Greek army under the Byzantine empire and was allegedly descended from a member of the Cypriot House of Lusignan who'd moved to Egypt and on to St Petersburg in Russia. Tsar Nicholas I allowed Colonel Lusignan to be matriculated as a Russian noble, that is a person holding an office which ennobled him. The colonel was probably known as Louis Christian de Lusignan...In the issue No. 180 of the Peterburgskiy Listok (Petersburg List) Newspaper July 3–15, 1884, a list of deceased in St Petersburg between 11 June and 18 June was found. There was a record for Louis Christian de Lusignan, colonel (retired). In the same newspaper issue No. 172 June 25-July 7, 1884, the following article was published: "The deceased who was buried thereby on Smolensk graveyard on 23 July, was a titled King of Cyprus and Jerusalem and Armenia, descendant of one of the protector of God's Casket, colonel of the Russian service, Louis de Lusignan."...". The grandfather of Prince Michael David de Lusignan was Prince Christodule Joseph de Lusignan of Constaninople (Istanbul). Christodules' father was Prince Louis de Lusignan (son of Count Henri Philippe de Lusignan of France and Russia) heir to his uncle the Marquis de Lusignan of France as titular King of Jerusalem, Cyprus and Armenia. This Jewish family of Lusignan were influenced by the Frankist movement and some of them were to embrace Christian Orthodoxy under the influence of the Catholic son of the Alter Rebbe Moshe ben Zalman (aka Leon Brody or Leon Judah)who was believed to have become a Russian Orthodox Archmandrite around 1828. One of the sons of this family was named Leon in honour of Reb Moshe ben Zalman and he was to move to Italy. His son Guy de Lusignan supporters were to write a book putting forward the claims of his family in 1896. The Chalfa Yen Lusignan of Baghdad always claimed to belong to the same family as the St Petersburg Lusignans even though Prince Michael denied their claims. However it most probable that this was the case as they both came from the Ottoman Empire. In my opinion all three claimants to the titles of Prince Lusignan were genuine but it would seem that each branch was protective of its status and sought to discredit the other branches of this crypto-Jewish family. Such infighting led others to dismiss all three claims as false. In fact it would seem that Prince Louis Joseph de Lusignan made his son Christodules the heir to the thrones of Cyprus and Jerusalem and his son Amaury Joseph to the throne of Armenia. Louis Joseph's daughter Princess Maria de Lusignan of Russia and her descendants were given the titles of Prince of Galilee and Count of Bethlehem. These titles passed to the daughter of Maria called Countess Henrietta Orurk of Russia and her descendants. Henrietta Countess Orurk was the titular Princess of Galilee. However by 1910 Prince Michael de Lusignan must have hit hard times as he advertised in the New York papers for a rich American wife. As far as I know Prince Michael did not leave any offspring so the titles of King of Jerusalem and Cyprus would have reverted to the descendants of Amaury Joseph. 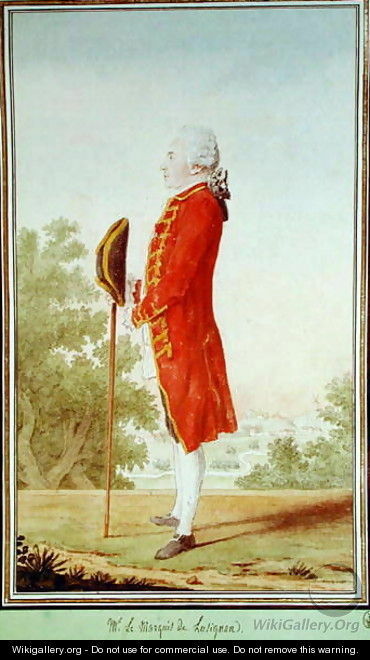 In Spain there was also a family of Marquis de Lusignan who claimed descent from the Lusignan de Lezay family. Marquis Louis Hugues de Lusignan was the son of Hugues Francoise de Lusignan and may be the son of Count Francoise Joseph de Lusignan and grandson of Count Jean de Lusignan-Amiel (b.1646) of France. Count Francoise Joseph de Lusginan married Madame Francoise de Lezay (the daughter of Guy the Marquis de Laval-Lezay)who entered the convent after the death of her husband. Their grandson Marquis Louis Hugues and his son Franz Joseph de Lusignan played an important part in Spanish and European history. One branch of the Lusignan-Amiel family descended from Jean de Lusignan Amiel emigrated to Quebec in Canada. The original French family of Lusignan were descended from those Catholic noble families of Jewish ancestry connected with the Jewish Kingdom of Septimania in Southern France and its Jewish Kings of the Royal Seed of David. It was these Catholics families of Jewish origin who were instrumental in the conquest of the Holy Land by the Crusaders and the establishment of the Medieval Kingdom of Jerusalem. One branch of the Jewish Lusignan family went to England in the 18th century. This family was founded by Saviour (or Sauveur) de Lusignan (1731-1826) of Cyprus whose son was the Reverend Michael William Lusignan (born 1791 baptised 1814). His son Henry Alexander Lusignan's family went to live in Melbourne Australia in the 19th century. 11. Count Pierre Antoine de Lusignan of France; brother of Hugh de Lusignan the titular King of Jerusalem, Cyprus and Armenia. Note: Those descending from the male line of the French Counts of Lusignan and La Marche will probably have a different ydna to those descending from the Cyprus Lusignans who are R1b L21 y-dna. Hugh I the Hunter (Venator/ Veneur) of Lusignan was probably of Q y-dna (Tribe of Benjamin). Note 2: Descent of the Lusignan according to "Histoire de la Maison Royale de Lusignan". « Au nom du Père, du Fils et du Saint-Esprit, Amen. » et il est né de Parents Orthodoxes. M Pierre II et frère du Roi Pierre P' le Grand, etc. » de Jérusalem et d'Arménie. Note 3: The Principality of Galilee was centred on the city of Tiberias. I love this small city in Israel which I have visited twice on holiday when I was living in Jerusalem. I always find a great peacefulness comes over me there. My mother's ancestor Donna Gracia Nasi was also involved with the city of Tiberias in the 16th century. The titles of Prince of Galilee and Count (or Prince)of Bethlehem were held in the 14th century by Balian d'Ibelin (son of Phillippe d'Ibelin the Constable of Cyprus who was also called the Prince of Galilee) and his wife Princess Alice Lusignan of Cyprus the daughter of King Hugh III and Princess Isabeau d'Ibelin. The first Crusader Prince of Galilee was Tancred in the 11th century. Note 4: My step-grandmother who was a Russian of aristocratic ancestry who settled in Australia once said to me. "What use is it to use these titles unless you have the money and the castle to go with it?" This is very good advice. As an Australian, my allegiance is to the Queen of Australia Elizabeth II and her heirs and successors. For me she is the anointed Monarch of the Davidic lineage who sits on the Davidic Throne. No other Monarch in Europe today has been anointed in the ancient tradition of the Royal House of David eventhough most of them are also descendants of King David. While the Danish and Spanish Monarchies are ancient their Monarchs today Queen Margarethe II and King Juan Carlos I did not have a sacred ceremony of anointing as part of their coronation ritual.